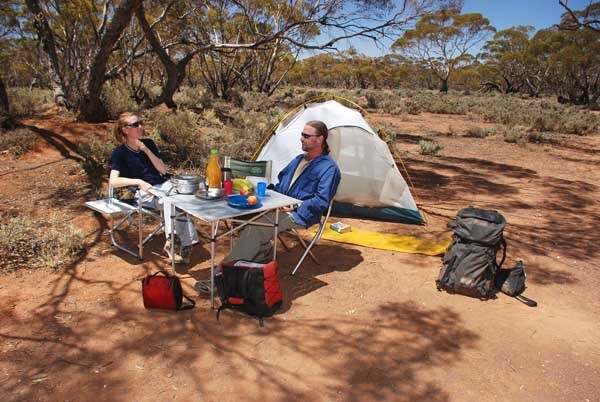 Adelaide is one of Australia's greenest capital cities, but South Australia hosts over 100 campgrounds in our national parks, alongside lakes and rivers and in natural reserves for long weekends or extended holidays to escape the city. On the few weekends when we're not celebrating with a festival, picking cherries in the Adelaide Hills, fishing along the coastline, horse riding through nature trails or sipping high tea, free camping sites are available in diverse environments throughout SA. These 5 selections, in different regions of the state, are perfect for holidaymakers in a standard passenger car or 4WD. Regardless of their locations, they all welcome campers for free. Although the campgrounds are free, all camping styles are accepted. From tents and sleeping bags or a night in the open-air beneath a blanket of stars to caravans with mod-cons, you'll still experience invigorating swims, adventurous hikes, glorious sunrises and soul-stirring sunsets. If you're a first-time camper, how can you avoid an awkward outback mishap? Leave no trace – fugitives hiding in the forest would know these tips but the casual camper can also follow this ideal. To protect our wildlife, environment and cultural landmarks, we should follow the guidelines provided by the Leave No Trace organisation. These include disposing of rubbish correctly, leaving natural items in place, following instructions for camping and campfires on site signage and not feeding native birds and animals. Water – although streams and lakes are refreshing for swimming, the water may not be safe for drinking. Be prepared with 5 litres of water per person for each day for drinking, cooking and cleaning. You can also boil local water or treat it with purification tablets. Campfires – note the restrictions in your campsite before taking out the matches/lighter. If allowed, use the marked area for fires or dig a pit 4 metres from surrounding greenery. Leave a bucket of water near the fire and don't allow it to grow too large. When you're ready to play firefighter, pour water over the flames until the fire stops hissing in protest. Once extinguished, cover the cold coals in sand or dirt. During our hottest months, in the Fire Danger Season, fires may be completely banned in your campsite. Pitching your tent – avoid overhanging branches that may topple during the night and check for ant nests. 40km southeast of Port Augusta, and 3 hours north of Adelaide on the edge of Mount Remarkable National Park, this rest area is open for caravans and overnight camping. It's also a short drive west from Wilmington where you can pick up supplies. You'll enjoy spectacular views of the sunset from the high ground of your site on the Yorke Peninsula, overlooking the narrowest point of the Spencer Gulf and the distant shoreline on the western side, Eyre Peninsula. You can bring pet dogs, stay connected with mobile phone coverage and rest beneath the shade of large trees. To reach the site, continue north-west along the Main North Road, watching for first turnoff on the left, Hancock's Lookout Rd. Follow it south-west for approximately 8km, looking for the site on your right. There are picnic tables and bins but no toilets or drinking water. Enjoy a hot dinner with your portable cooker but you can't light campfires at this site. 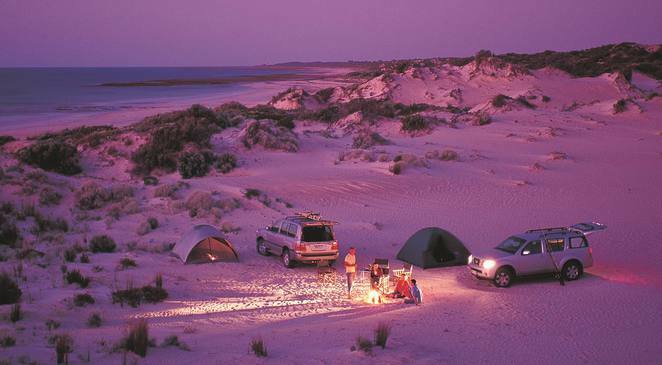 2 hours north-west of Adelaide in the Yorke Peninsula Reserves, between Port Moonta to the north and Port Victoria and Wardang Island to the south, this camp site is on the water's edge, lined with sand dunes and green bushland, encouraging 4WD and boating adventures. Bring your fishing gear to reel in salmon, mullet and mulloway. You can toast marshmallows over your campfire but bring your own firewood and water. Toilets are available but there aren't any bins for rubbish. 3 hours east of Adelaide, in the centre of Murtho Forest Reserve in the Murray Region, you can camp on the edge of the Murray River, separating the vast scientific reserve and conservation park from civilisation. Near Renmark and along the border with Victoria, the water is perfect for swimming, boating, canoeing and fishing for golden perch and carp. You'll be shaded beneath towering red gum trees, sharing the area with colourful rosellas and wrens overhead. 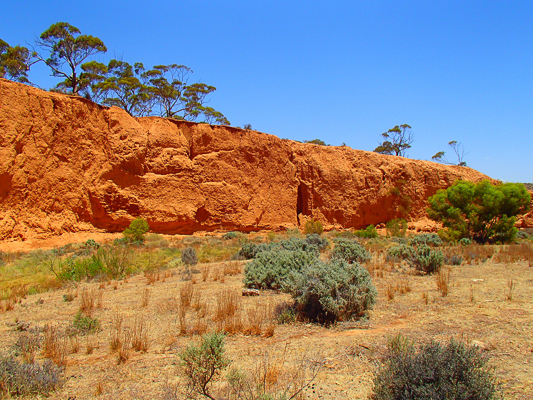 Enjoy the short hike upward to admire views of the earthy reds, yellows and orange tones along the hillsides. Only 20km north-east from Renmark, you can bring your dog but stow any rubbish as there aren't any bins. 2 hours north of Adelaide in the Clare Valley, you'll be setting up camp in a site hosting visitors for over 60,000 years, with signs of former inhabitants, diprotodons, the largest known marsupials, giant kangaroos and Tasmanian tigers, highlighted on 'Landscapes of Change', a 5km, 2-hour walking trail. In a mixture of scented grassland and mallee box bushland, you'll also spot a diverse range of fauna, including red kangaroos, wombats and echnidas. Heading south-east on the Goyder Hwy from Burra, take the first left onto Eastern Rd, turning right once you reach the Conservation Park and Burra Picnic Race Club at Thistebeds Station. Continue south to arrive beside Baldina Creek. There are picnic areas and toilets available. Although this free campsite is tucked beside the World's End Hwy, it's not as remote as it sounds. 2 hours north of Adelaide, between Burra and the Hallelujah Hills, you'll be camped beside the Burra Creek, either to enjoy the scenery on your hiking trip along the 1,200km Heysen Trail or on a driving holiday in the Clare Valley Region. For a quick history lesson, you can also visit World's End, a deserted town 18km southeast of Burra, with the Wesleyan Methodist Church, built in 1889, long since closed and now a memorial to the past. Back at camp, you'll be shaded under gum trees and you might pluck a few yabbies from the muddy banks of the river. You can enjoy a campfire, bring your dog and use on-site toilets but you'll need to bring or boil your own drinking water. If you desire hills and valleys, clean air and starstruck skies, centuries-old cliffs and newly blossoming wildflowers, I'm sure you'll enjoy this campsite as much as the clever campers visiting on annual pilgrimages. Have you spent a night at another brilliant free camping site in SA? Please let us know with a comment. A great article Barry. You're a good ambassador for SA. Can you waterski at any of these. We are new to SA and love this but we do like to ski? There's a free campsite in the dunes just south of Salt Creek on the Coorong. Fabulously quiet, bring your own toilet, shower etc. Camping in national parks and reserves in SA is NOT free. It's only a small cost (about $12 a night) but you DO need to book online and pay to avoid being fined.